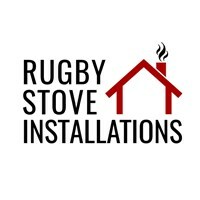 Rugby Stove Installations Ltd - Fireplaces/Stoves based in Bourton, Warwickshire. Rugby Stove Installations offer all Wood Burning and Multi-Fuel Stove installations in Rugby and surrounding areas. Rugby Stove Installations provides a complete service and can take your request from the initial idea and design phase through to the supply & fitting of your wood burning or multi-fuel stove. In addition to the supplying and fitting your new stove, Rugby Stove Installations offer general building services in cases where a straightforward installation is not possible. From as little as laying a hearth, to constructing an entirely new external chimney stack (if needed), we will do our best to accomodate your requirements. Always doing our utmost to keep costs to a minimal. Not only does installing a wood burning stove in your home bring down heating bills, it can also add value to your property!